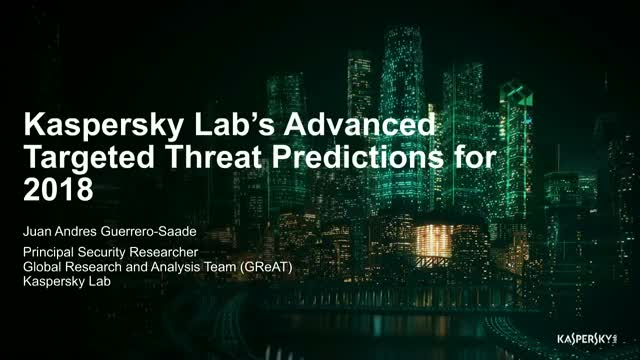 Kaspersky Lab will share its predictions for what the world’s most dangerous threat actors could have planned over the coming year. The session will provide unique intelligence on the tools and techniques likely to be deployed by attackers against government organizations, enterprises, critical infrastructure, society at large, and more – and what this means for organizations, the security community and international cyberspace. The aim of the webinar is to stimulate debate among IT security professionals in all industries, and to increase awareness and understanding that will help them to defend their organization against these threats.